Testosterone is the hormone that makes a man a man. Literally. Carving you out from being a screeching young boy, into a muscular, bearded man who is ready to dominate life. For some lucky guys anyway. However, much muscle you have, or however dense your beard, in fact whatever gender you are, testosterone plays a vital role in countless bodily functions. By ensuring that you have healthy or above normal levels then, you can benefit in much the same way that bodybuilders do. With quicker muscle gain, faster recovery and better gym performance. Many men think that turning to nutrients and test booster supplements like vitamin D is the only way to boost testosterone without risky steroids. However, the way you train can be just as beneficial. Testosterone is a hormone that’s produced in the male testicles and small amounts in a female’s ovaries. You start to produce far more testosterone when you reach puberty, which is when the development of male characteristics like a deeper voice, more muscle and more hair occur. 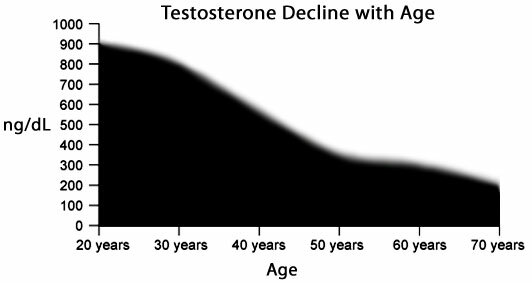 Testosterone levels start to decline at around the age of 30. This decline can cause some health issues as you get older, especially in those that don’t look after their testosterone levels. Effects of low testosterone include low energy levels, a lack of motivation and an increased amount of unwanted fat and weight gain. Testosterone plays a key role in the development of new muscle throughout life, which is why bodybuilders and people looking to get healthier and stronger try and optimize levels as much as possible. Healthy levels of testosterone are deemed as being between 250-1100 ng/dL for men. When men increase testosterone levels they can experience a lot of benefits to both their lifestyle and their gym performance. Testosterone also plays a crucial part in regulating metabolism, and if you are over the age of 30 can help reduce the amount of stubborn belly fat you store. 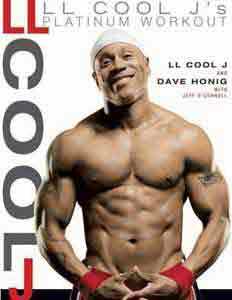 If you’re testosterone levels increase, you’ll feel fresher and younger and find it easier to add extra muscle mass. Meaning you can make far more of your workouts. Sleep has also been known to be affected by the amount of testosterone you have, so an increase can mean that both your rest and recovery improve. Exercise and testosterone are very closely linked. In fact, after you perform exercise your testosterone levels increase. This can last for 15 minutes or up to an hour. If you have clinically low testosterone, this short spike may not have a huge effect. But most males with a low/normal level should get some benefits to both day to day energy levels and performance and results from the exercise. Actually, performing exercise works to not just provide a short-term boost though, but if you manage to start to burn away that unwanted belly fat, your metabolism will increase and as such your bodyfat drop. This helps create an environment that is better to produce this key hormone. In order to get the most from this though, exercise needs to be regular. Which, for many may seem daunting. But, if you are exercising you should be looking at all the other long-term benefits and not just the potential for a slightly increased level of testosterone. There’s one go too muscle group you should be looking at when it comes to getting testosterone levels to rise through exercise; your legs. As the biggest muscle group, training legs also provides a great stimulus to help you shed unwanted weight by maximizing energy expenditure. Studies back up the fact that leg training both increases testosterone and growth hormone too. A team of researchers at Lillehammer University made a group of males complete a bodybuilding style workout over an 11-week period. They trained 2 days on solely left biceps and 2 days on both legs and right biceps. What they found after the 11-week study was that the size and strength of the right bicep had increased more than the left. They concluded that because of the extra testosterone and growth hormone released during the leg sessions, the right bicep got stronger and bigger. Pretty crazy. 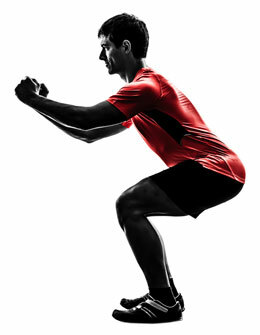 Compound movements are the way to go to maximize the surge in hormones. This has been heavily researched in a few different ways and the bigger and more complex the movement, the better. In order to maximize the release in testosterone and in growth hormone, it’s always best to start with multi joint compound movements when you work out. So, take these 3 big exercises and perform them first thing, before working on isolation exercises and smaller movements. To take advantage of the testosterone boosting properties of leg training, it might be worth looking into splitting your leg training across two days in the week. Combining it with biceps on one of the days, and triceps on the other. As an example. It’s hard to dispute the power of the squat when it comes to building sheer strength and a formidable set of wheels. Because the squat also recruits such a big number of muscle groups, it’s also one of the best testosterone boosting exercises you can do. Try and hit the 5-8 rep range on 75% of your 1RM. Go for 3 sets. Another compound movement that can cause a major build-up of lactic acid (which causes an increase in growth hormone) as well as a nice boost of testosterone. Barbell Lunges require core stability as well as recruiting all your leg muscles. Giving your male hormones as good kick into action. While it’s not legs, the bench press is another compound movement that gets your hormones firing. If it’s chest day, then jump on the bench at the start of your workout. 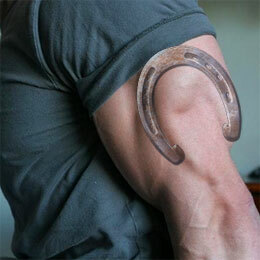 This means you’ll have that crucial spike in testosterone for the rest of the session. So there you have it. When it comes to the exercises that boost testosterone there’s plenty of studies to back up the training of legs. There’s also no question that the more complex/compound movements provide the biggest boost either, so always try and perform these at the start of your workout.